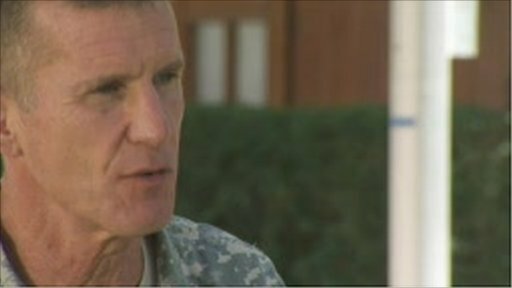 The top US military commander in Afghanistan, Gen Stanley McChrystal, has been dismissed by President Barack Obama after he criticised leading administration officials in an article in Rolling Stone magazine. He had earlier agreed with Mr Obama that his statements in the magazine showed "poor judgement". John Simpson looks at his career and his replacement, Gen David Petraeus.